Another country looks to be on its way to legalizing gay marriage! A group of 171 senators and deputies in Brazil have created a “Parliamentary Front for the LGBT Community,” which will promote the legalization of gay marriage. The group is headed up by Senator Marta Suplicy and Brazil’s first openly gay lawmaker Jean Wyllys. Jean Wyllys: Out loud and proud down in Brazil! 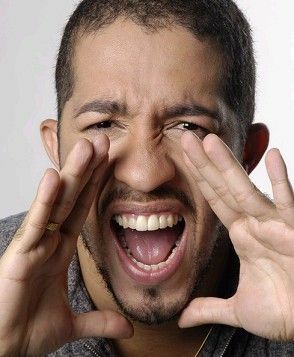 Jean used a popular turn on the reality show Big Brother Brazil to launch his political career. Wyllys, beyond being a reality star, is a passionate gay rights advocate. He says that he has been on the receiving end of threats because of his sexuality, as well as for his support of the measure to legalize gay marriage. Brazil has a history of standing up for LGBT rights in the courts, protecting gay rights as citizens’s rights. The country has expansive non-discrimination laws, and the courts have previously ruled that gays and lesbians can access many of the same rights as straight people when it comes to marriage. Civil unions do exist in the country, so the clear next step is marriage. Argentine National Deputy Vilma Ibarra, who played a prominent role in last year’s effort to legalize gay marriage in her country, and the Spanish socialist Pedro Zerolo were on hand at Tuesday’s announcement. Zerolo urged lawmakers to “stay the course” on equality and “make possible what seems impossible.” He told EFE that he was “proud” that Spain, which legalized gay marriage in 2005, served as a model for an increasing number of Latin American countries. “Argentina, Mexico and Uruguay are already on that road and Brazil, which is a key country in Latin America and the world, is not included,” Zerolo said. Kudos to Jean for stepping up and being passionate about LGBT rights! After listening to Indiana’s idiotic senators today, it’s a relief to hear of progress in Latin America.